I have a device that is powered by the Arduino (+5V). The device (a VC0706 Powered camera), incomporates a MAX3232 to convert to RS-232. Unfortunatly, I don't have the tools or dexterity to remove the TTL/RS232 conversion manually. 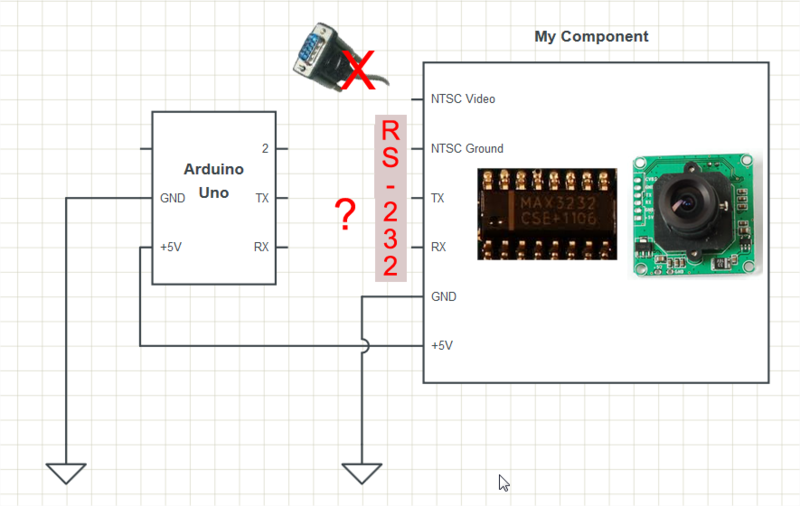 My question is: is it possible to establish communication between the device and the Arduino with RS232 interface?